The board of directors of Newmont Mining Corp. has unanimously rejected a hostile takeover offer from Barrick Gold Corp. and countered with a proposal of its own. Newmont's board says the unsolicited, all-stock proposal is not in the best interests of shareholders. The board says the unsolicited, all-stock proposal is not in the best interests of Newmont's shareholders. Instead, Newmont, which is in the midst of acquiring Vancouver-based gold miner Goldcorp Inc., is proposing a joint venture with Barrick in Nevada where the companies both have extensive operations. 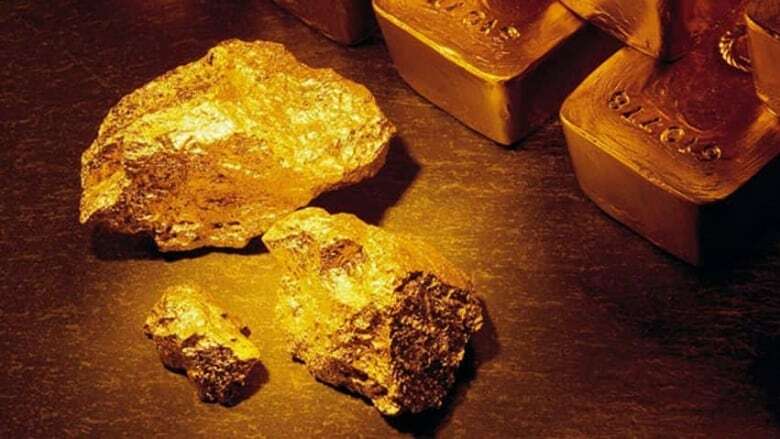 Barrick would hold a 55 per cent economic interest in the joint venture, while Newmont Goldcorp would hold 45 per cent. Newmont says its proposal would enable the companies to realize the available synergies while avoiding the risks and complexities associated with Barrick's unsolicited proposal. Barrick made an all-stock bid for Newmont last month valued at roughly $18 billion US. Newmont chief executive Gary Goldberg and Newmont president Tom Palmer, Goldberg's designated successor, took turns disparaging Barrick's track record in a conference call with financial analysts. Goldberg restated his opposition to the all-stock proposal that would result in Newmont shareholders owning about 44 per cent of a Barrick-dominated firm, which would be the world's biggest gold producer . "Barrick's egocentric proposal is designed to transfer value from Newmont shareholders to Barrick's," Goldberg said. He also questioned the experience of Barrick's new CEO, Mark Bristow, and Barrick's record in mergers and acquisition under the leadership of John Thornton, who became Barrick's executive chairman in 2014. Goldberg said Barrick is going through a time of great change but added "one of the major factors that hindered Barrick's ability to create value in the past remains the same . . . John Thornton is still firmly in control of Barrick." Palmer said Newmont doesn't agree with Barrick's view that the two companies should be combined into one business. "However, we can still realize the vast majority of the synergies [in] Barrick's proposal through a JV of Newmont and Barrick's Nevada-related operations, working together to deliver the potential." In a statement Monday, Bristow said Newmont's Nevada joint venture proposal was "based on the stale and convoluted process that foundered previously." "Nevada, with a combined 76 million ounces, will be worth a whole lot more if it is run by one operator," he said . "We know we can do that more efficiently than Newmont, and that it will be worth a lot more to both Newmont and Barrick shareholders under that scenario." Newmont, which is also in the midst of acquiring Vancouver-based gold miner Goldcorp Inc., says its proposal would realize the available synergies in Nevada while avoiding the risks and complexities associated with Barrick's proposal. It more than tripled its estimate of savings related to the deal compared with its initial expectations for $100 million US per year in savings related to general and administrative costs. The guidance Monday included an additional $100 million per year in supply-chain improvements and $165 million in savings from applying the Newmont practices to the acquired assets. "To put it all together, Newmont-Goldcorp has identified — to date — a total of $365 million per annum in savings and efficiencies representing value creation potential of over $4.4 billion using the same time frames and discount rates applied by Barrick in their estimates," Palmer said.